TAIWANESE POLITICAL leaders took the opportunity to criticize China’s lack of democracy in their Lunar New Year’s messages, as observed in speeches by president Tsai Ing-wen and premier Su Tseng-chang. 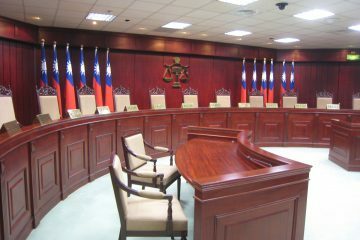 In Tsai’s speech, which was released in the form of a video on Facebook, Tsai offered her new year’s wishes to “Taiwanese and ethnic Chinese around the world”, stating that Taiwan remained committed to defending its democratic freedoms, and that even during the new year, members of the military, airport staff, and other security personnel continue to work to protect those freedoms from possible threats. Tsai would also remark on that the Lunar New Year was celebrated by ethnic Chinese across the world, also reiterating her new year’s greetings in Hakka, Cantonese, and Teochew. Tsai then went on to state that Taiwan preserved traditional culture and democracy as a core value of society, but that places without democracy might not be able to understand this. As such, Tsai stated that she hoped other ethnic Chinese societies could also enjoy the blessings of democracy. In closing, Tsai would offer her new year’s greetings in English, stating that many foreigners had come to visit Taiwan during the new year’s and that she hoped they would enjoy their stay in Taiwan. Su Tseng-chang’s comments, on the other hand, which were also released in the form of a video on Facebook, struck a humorous note, with Su discussing the dangers of the African swine fever virus in the form of a cooking program. Su stated that if there was “mutual cooperation” in Taiwanese society, there would be no need to worry about the swine fever, reminded that if food is heated properly, this would kill the swine fever virus, and emphasized that swine fever only affects pigs, not humans. Su also stated that travelers who failed to pay fines on bringing meat into Taiwan would not be allowed into the country, as a preventative measure, and asked citizens to contact authorities if they found any dead pigs, particularly by riversides or in public areas. In closing, Su called directly on the Chinese government to “mutually cooperate as a neighbor” to fight the African swine fever threat, rather than attempt to hurt Taiwan, holding up a Winnie the Pooh stuffed animal in what many have read as a dig at Chinese president Xi Jinping. China notably banned a recent live-action Winnie the Pooh film after Chinese netizens took to mocking Xi by comparing his physique to that of Winnie the Pooh. By contrast, Xi did not discuss Taiwan in his Lunar New Year’s comments, except for wishing new year’s wishes to residents of Taiwan. It is possible that the Taiwanese government thought that Xi might have commented on Taiwan, as he did during comments made shortly after the western new year in which Xi emphasized that force was not off the table for efforts to annex Taiwan. Nevertheless, the People’s Liberation Army Air Force did release a video over the Lunar New Year that referenced China’s desire to annex Taiwan by force, something which led to a denunciation by the Mainland Affairs Council. The Taiwanese military would respond a day later with its own video. This is probably why Su did not bluntly criticize China either, but did so humorously, holding up a Winnie the Pooh bear during his comments to represent Xi Jinping—as well as the authoritarian repression of political freedoms which has occurred under Xi. Su also referred to Chinese threats against Taiwan as mutual harm (互相傷害). 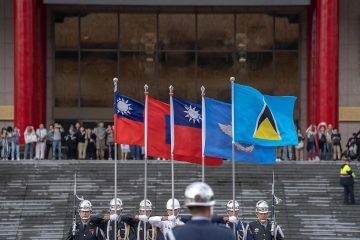 Indeed, as observed in the reception of both speeches in international media, Tsai and Su seem to have been successful in communicating this message of low-key criticisms of China. In the past year, the Tsai administration has taken to “trolling” the Chinese government, as observed in several Tweets by the Ministry of Foreign Affairs, and this has in many cases been a successful strategy in articulating criticisms of China. 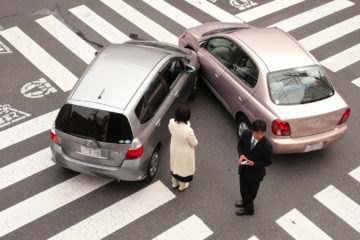 It is likely that the Tsai administration will continue with this strategy in the future. 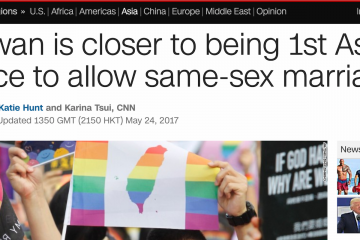 The First Asian “Country,” “Place”, Or “Chinese Province” To Realize Marriage Equality? 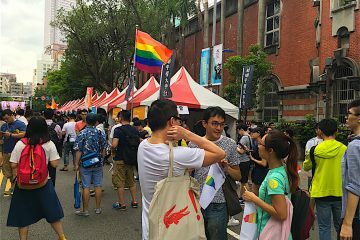 Can China Follow In Taiwan’s Footsteps Regarding Gay Marriage? 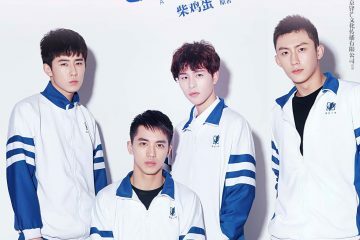 Why The Ban on Depictions of Homosexuality in Chinese Media And Silence from Critical Voices?